This is not your every day mother’s pendant. 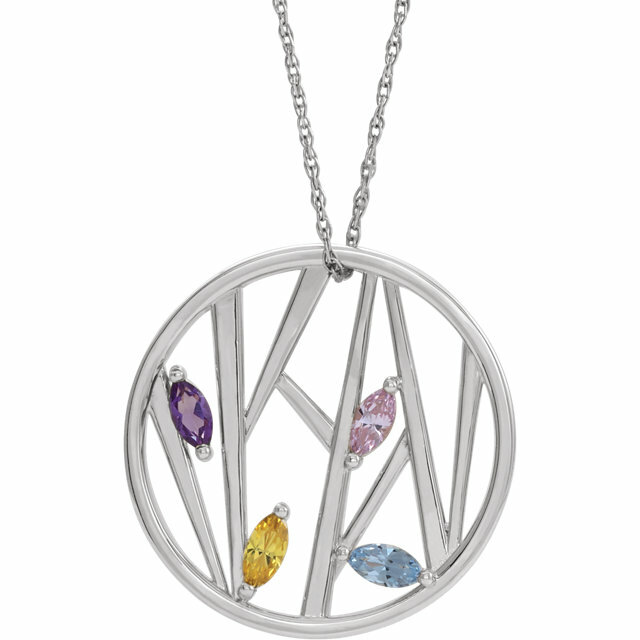 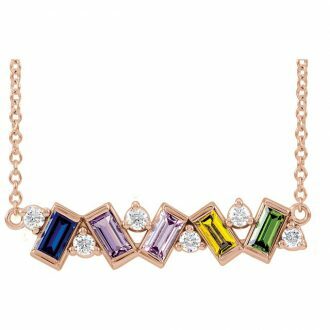 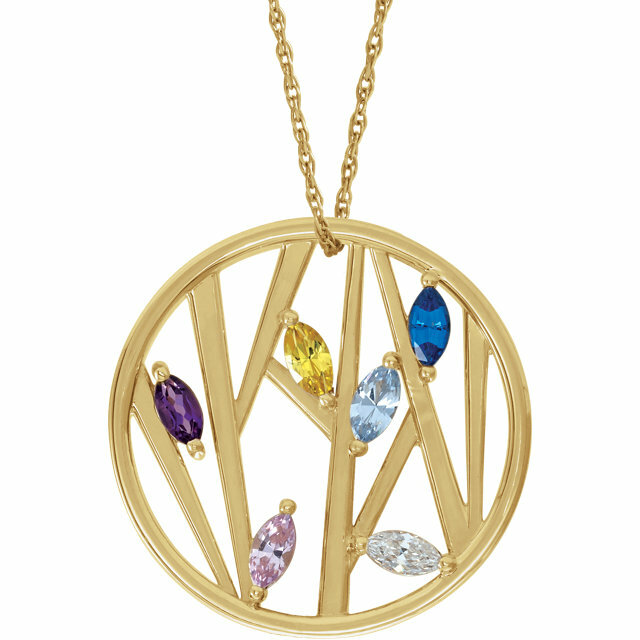 The abstract design is perfect for adding the birthstones of your choice. 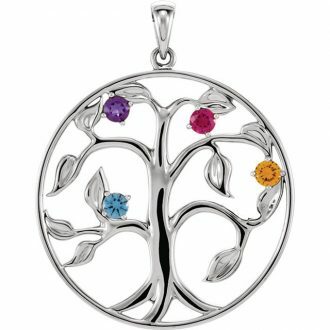 We can add up 8 gemstones to this design. 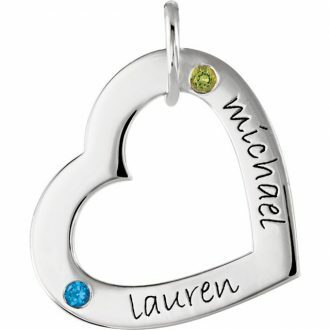 It is available in white gold, yellow gold, rose gold, and sterling silver. 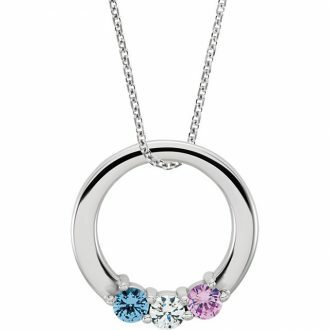 Price varies based on the combination that you choose!